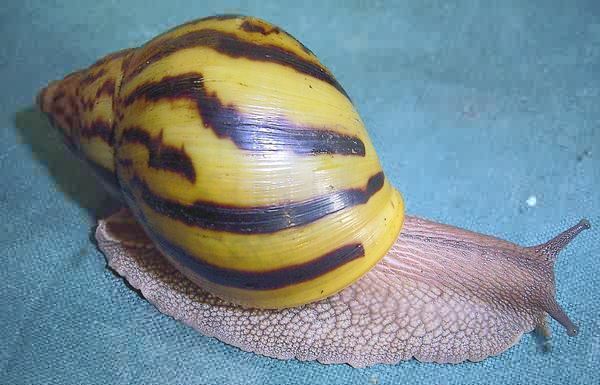 This is Achatina achatina snail. 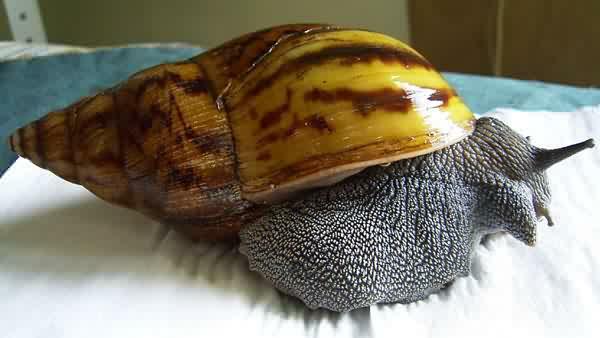 These snails are the biggest land snails on the Earth. 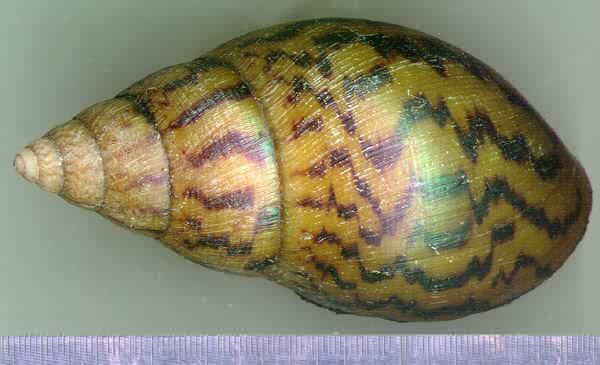 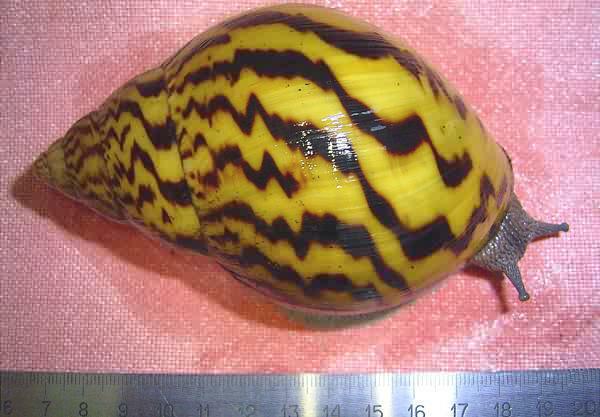 Their dark-yellow shell with irregular dark-brown "tiger" stripes can reach 17-30 cm long. 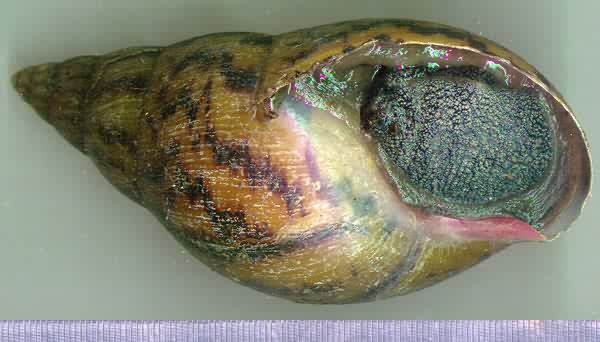 Their body is dark-gray. 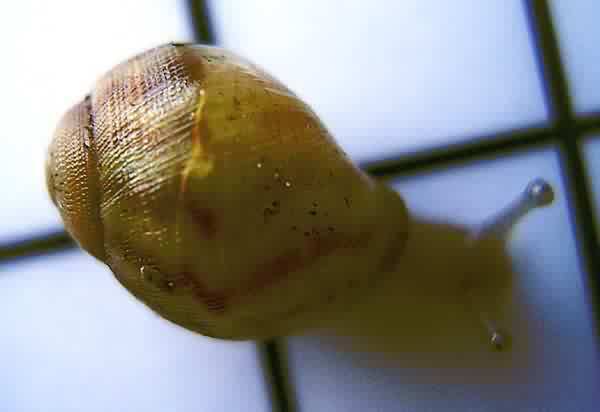 This is a young snail. 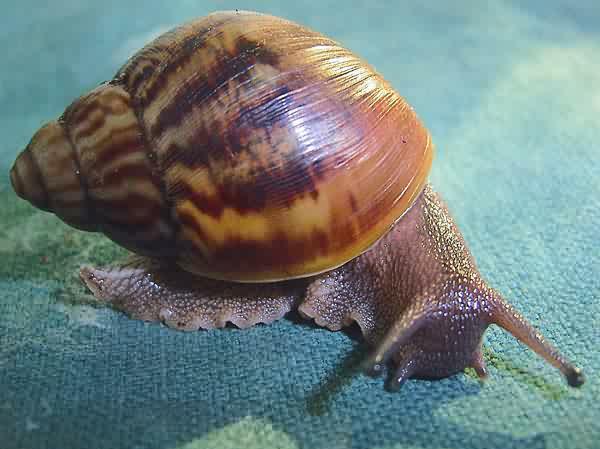 This is a newborn Achatina achatina snail.